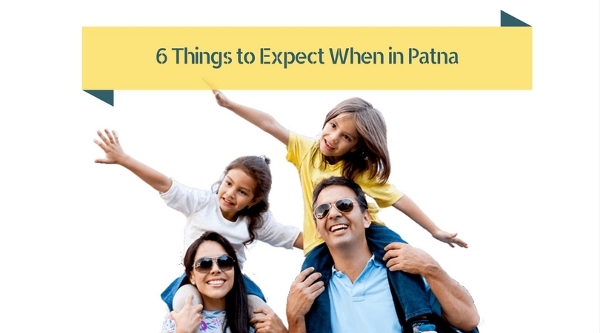 6 Things to Expect When in Patna - GoodGuysBlog.com - New, Technology, Marketing, Health and So on. Ever visited Patna? But ‘Why Patna?’ Well, most people would ask this. They want to know why ‘Bihar’ out of all the places? Well, Bihar is a beautiful state. It is rich in culture and a city one must plan to visit at least once in their lifetime. The credit definitely goes to Nitish Kumar. When in Patna, you will find the best of flyovers every few kilometres. It may be a straight flyover or somewhat like a maze. The longest flyover in Bihar is the four lane flyover on Bailey Road. These well-constructed bridges have helped a great deal in reducing traffic across the city. The Mahatma Gandhi Setu is the second longest bridge built over water in India. The national food of Bihar, this easily available scrumptious dish has been covered by the media and recently in the Bihar breaking news in Hindi. Although Patna residents are crazy about Sattu ke paranthe, you will find the best of Litti chokha stalls everywhere in the city. Most of the hoardings of Litti Chokha has Bollywood Star Aamir Khan’s picture on it. It is said that once he had litti chokha in Patna, the moment was captured on camera. Since then, the star has become the brand ambassador of this delectable dish for restaurants and roadside vendors. There is no language as ‘Bihari’. People in Patna speak Hindi here. Apart from Bhojpuri, there are a number of dialects people speak in, such as Maghai and Maithili. Think Patna only supplies laborers to the rest of the nation? Well, this is just a notion most people have about the city. The fact is that Patna holds one of the richest culture and historical relevance across India. One of the oldest inhabited cities all over the world, Patna has an interesting history. The city served as the capital city of the Mauryan Empire. It was referred as Pataliputra by the rulers. It was also home to palaces and the operation site for several great warrior kings such as Chandragupta and Ashoka. It was the center for trade for the British. Most of the great writers, philosophers and scholars were from this pious land. Some of these great personalities include Kalidasa, Panini, Aryabhatta, Vatsyayana, and Chanakya. Patna is considered sacred because it is the birth place of Sri Guru Govind Singh, the 10th guru of Sikhs. Sri Takht Patna Sahib, one of the five takhts (holy seat of authority) attracts worshippers from across the country. Tempos are the major mode of transport in Patna. You can get share autos that provide the best of connectivity across the city. Their amazing numbers on the road and the ride will appeal to you. These big auto rickshaws can easily seat up to eight people at a time. Smaller versions are also available, but they aren’t as popular as their bigger counterparts. The share autos in Patna outnumber the private four wheelers. In contrast to what most assume Patna to be, it is a developed city! Yes, there is no dearth of electricity and other amenities. Visit Patna and you will find the best of restaurants serving delectable selection of cuisines, malls, and a Central. If hi-end brands are your thing, Patna is home to several branded stores. Some of the most popular areas here include Frazer road, Boring road, Gandhi Maidan, and Bailey road. Patna may not have a ‘night life’ but the city doesn’t sleep by 8:00. People travel on the road late night.